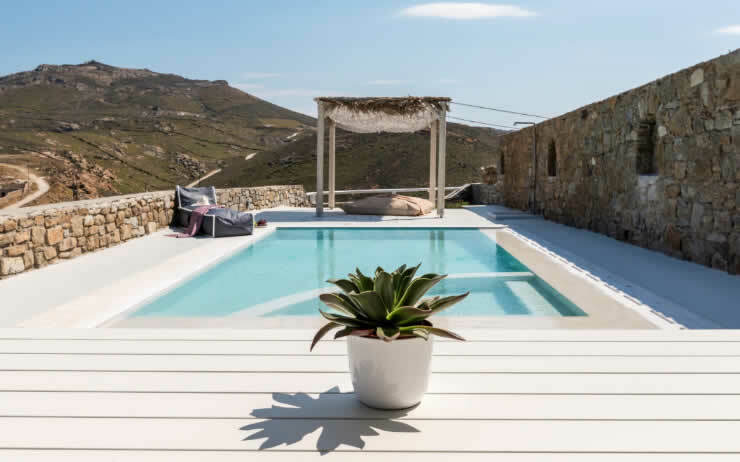 Wild View is located in Merchia beach, one of the most beautiful and silent areas of Mykonos. Enjoy our relaxing environment during the sunrise, next to the swimming pool along with your drink. Our complex is composed by three houses and each one includes three bedrooms, two balconies, with a living room and a kitchen. 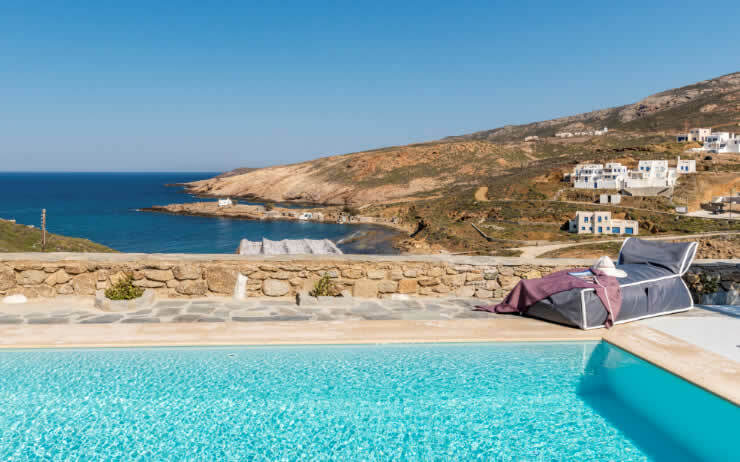 Both of our houses offer you the greatest Aegean view. You can have parties for private situations and you can also have your pet with you. Enjoy our relaxing environment and watch the sunrise, next to the swimming pool.